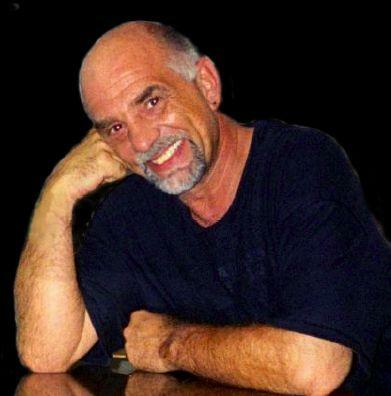 Mark Wirtz is an acclaimed songwriter, producer, arranger, singer, author, artist, comedian (whew! ), and public nuisance. He is best known (aside from the nuisance part) for the mastermind behind the Teenage Opera concept which spawned the hit record "Excerpt From a Teenage Opera," aka "Grocer Jack," by Keith West in 1967. Wirtz also composed and produced "A Touch of Velvet, A Sting of Brass" by Mood Mosaic, which remains one of the most recognized and frequently-broadcast tracks in the world. Born in France (Alsace-Lorraine) and raised primarily in Germany, Wirtz moved to England in the early 60s and started his own independent music production company. In 1967 he became a staff producer at EMI Studios (later to be renamed Abbey Road Studios), working alongside The Beatles and Pink Floyd, and with Beatles engineer Geoffrey Emerick. Wirtz emigrated to the U.S. in 1970 to produce at Hollywood's Shelter Records. He took a hiatus from the music business beginning in 1982 to raise his daughter as a single parent. During the 1990's and 2000's, Wirtz penned three books (Sisyphus Rocks, which was published under his "American" moniker, Michael Sinclair; Cybergod; and Love is Eggshaped) and returned to the recording studio. Several of the resultant tracks, including soon-to-be classics "In The Eyes of Love," "Cradle Me," and "I'm Impressed," can be heard on the fantastic Love is Eggshaped CD. At the current time, Wirtz is in the completion stages of a multi-media project that combines his music, comedy and writing talents in the form of a one-man live show, a new music/spoken word CD, and a book - all thematically linked under the collective title, Cooking For Cannibals. Mark's newest CD - Lost Pets 2. Check out two of the tracks, "Party Nite" and "Sindee," by launching the videos below!